t/Sgt. Fred A. Bush, Son-in-law of Kate Schuster, husband of Henryetta Schuster, graduate of NTSTC. 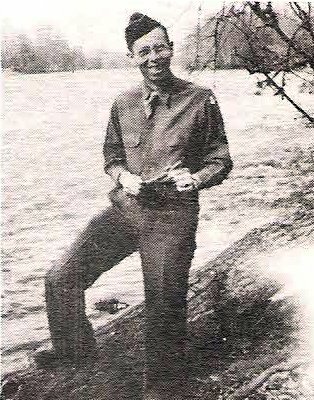 Entered Army, 1942, trained at Camp Adair, Ore. and Ft. Lewis, Wash. Served in Hawaii, Phil. and Okinawa. Awarded Phil. Lb. with 2 Stars, APO with 2 Stars, Bronze Arrowhead for assault landing on Okinawa, Vctory, ATO and GCM. Discharged in 1946.